Content management system sites such as Joomla and Wordpress have been targeted lately by hackers, is your site safe? Thousands of sites have been under extra attack by malicious bot-nets trying to break into admin sections by using brute force, user names are normally 'admin', so all they need to do is try combinations of weak passwords, break in and add malicious code, usually redirecting users to undesirable sites. Simple to fix by not having admin as your user name, and not having 'pa33word', '123456', 'easyname1' or similar as your password. Chrome and Firefox will display a warning if Google picks up unwanted code on your website, and webmaster tools will send you an email if you have it set-up, (so a good first step is to get this done). Internet Explorer does not use the Google malware API so will not display a warning. Other indications your site is compromised are strange links appearing, messages from hackers, or your site redirecting by itself. The site may start sending out spam emails which is harder to spot, and can mean the site or server gets blacklisted, this can be another site on the same server. Poor passwords on FTP or database servers is also a problem, so make sure they are secure as well. Lastly a common cause is Joomla or Wordpress itself being out of date, or plug-ins and templates being used, so make sure these are kept up to date. Part of our support contracts include this work, and our new cloud hosting pacakages will insist on all site being kept secure to stop the server being blacklisted. 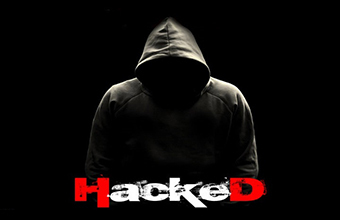 Do you need help with a hacked website? Get in touch and we can help! Or find out more about our support and maintenance.